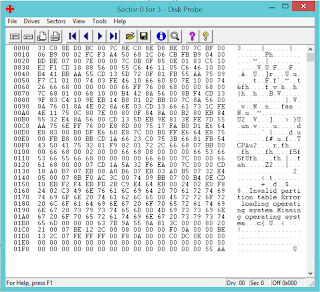 DiskProbe (DskProbe.exe) is a low level disk sector editor published by Microsoft. It was released originally as part of the Windows support tools for Windows NT 4. It is a really handy tool for rebuilding an erased partition table, fix a busted MBR, fix a partition's boot sector, or just poke around on the disk. Microsoft released versions for NT 4, Windows 2000, Windows 2003, and Windows XP. Unfortunately, they have not released a version for 2008+, or Windows 7, 8, 8.1+. Here is how you get a version that will run on Windows 7/8+ 32 and 64 bit, straight from Microsoft, malware free. 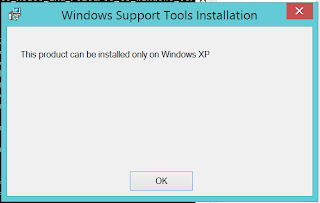 Download the Windows XP Service Pack 2 Support tools from Microsoft. Run the downloaded executable with the options to extract the files to the folder you created. 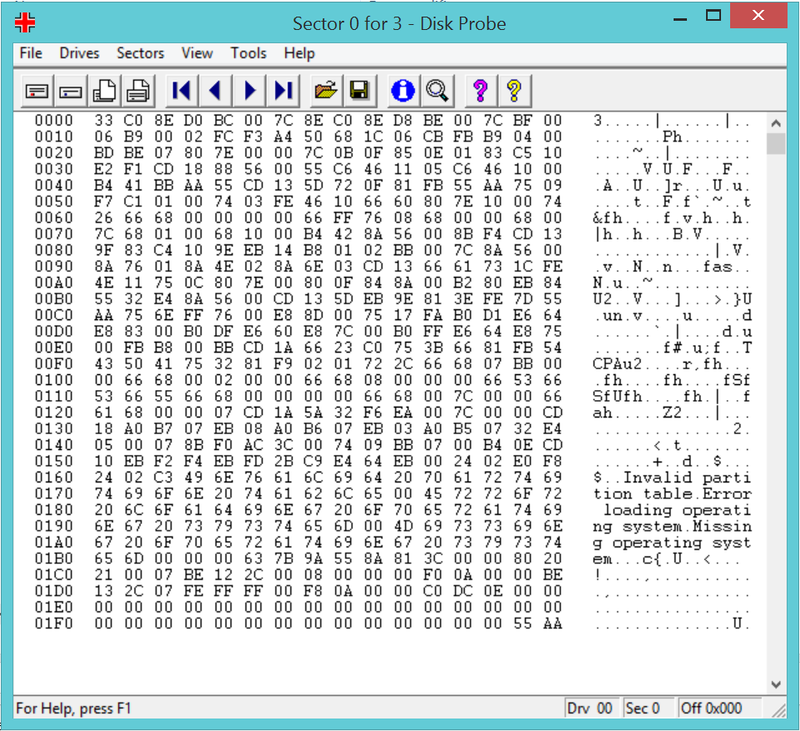 Next, we'll extract DskProbe from the Cab files inside that package. Remember to run it as Administrator. If you really want to dig into this, take a look at Chapter 12 "File Systems" of the Windows Internals books. In the current edition this chapter is in the second book. The learning curve on using this is steep, and it's as user friendly as an angry porcupine. You can very easily irreparably lose data with it. You can also fix a lot of things and be a rock star.